April 3rd, 2017 (11:16 AM). Edited August 4th, 2017 by TheCrystalFlaaffy. 1. For future reference, where would the cutoff be for S/M in the trading in a stone for evolution rule? *I assume it doesn't, because you need 45 Pokemon in your boxes to get stones from Isle Aphun, but I'm still asking to be sure. 3. I can't remember and I don't see it specified in the rules, are HA's are allowed for traded-in Eggs? For questions 1 & 2 I would say hacking or trading in evolution items would be allowed after unlocking Poke Pelago. That way the person playing would have to wait until their far enough in the game to obtain them normally but don't have to go through the hassle of filling their box and waiting hours upon hours for their Pokemon to find the stone they need. And for question 3 I would say hidden abilities are fine so long as it's been officially released so that it's still legit. April 6th, 2017 (1:37 PM). Hey, just one suggestion for the optional end-point of Sun/Moon. Instead of fighting all possible challengers of the Elite Four, which can get very repetitive and annoying imo. It should be to complete the Ultra Beast Side-Story, then go through the post-game exclusive parts of Poni Island and beat Red or Blue at the Battle Tree (just the normal entrance battle, not getting 20 streak in the tree itself lol). May 7th, 2017 (10:23 AM). Edited May 17th, 2017 by Flame999. May 9th, 2017 (9:04 PM). Rapidash Solo is complete. Houndoom Ultimate is 5 badges in Alpha Sapphire. I had quite a fear in the first Archie fight, but no Aqua Jets happened. May 14th, 2017 (7:38 AM). Edited May 15th, 2017 by Andrew. Previous Progress: Yes! Most recent (if you can call over a year ago recent) update here. However, I've completed SoulSilver since then so I now have Yellow and SoulSilver done. Long (long long) time since my last update, where I was only at the 3rd Johto Gym. Got busy with life and only played on and off. Finally beat SoulSilver last night. Don't remember much of Johto other than the E4 were a struggle. Kanto was a breeze until Blue who has quite a few pokemon with Earthquake which is a OHKO. Had to utilize revives and Iron Tail spam to take him down. Took 20+ tries but I finally did it. I tried taking on Red a few times but pretty much everything is a OHKO on Pikachu so I'm not sure if it's even possible. Decided to give up there since the challenge is technically done. Think I'm going to play White next since it's the game I've played the least and it'll be fun to re-experience it. Got started on White today and played quite a bit. Yunachu has been steamrolling the game so far. Only had to grind a bit before the 2nd gym, but for the most part Thunder Wave and Electro Ball combo has been taking out everything in my path. I'm up to Clay now who is presenting the first real challenge so far. Took him on a few times and haven't been able to get passed Palpitoad, so I'm going to grind and give it another go tomorrow. May 16th, 2017 (8:35 PM). Edited May 16th, 2017 by ShinyHoundoom. I do have one question. The Ulitmate challenge can be done in any order correct? I wanted to do my Nidoking solos in reverse order. May 21st, 2017 (9:59 PM). Made a lot of progress since my last update. Been meaning to write this update for a while but just haven't gotten around to it until now. I've beaten White and Alpha Sapphire over the last week. White was pretty much a breeze until the end game, which is a pretty common theme in these solo runs. I take out the first 6 or 7 gyms super quickly and then get stuck on the last gym and E4+Champion because of how easily Pikachu gets OHKO'd. Regardless, I was eventually able to take down the E4 and N and Ghetsis basically by spamming swagger and praying Pikachu didn't get hit. I jumped in to AS pretty much right away after beating White. Forgot to mention! I forgot to pop a repel and ended up running in to a shiny Shelmet! Pretty incredible considering it's the first time I've ran in to a shiny in the wild and I almost always use repels on these runs so I don't encounter wild pokemon often. I couldn't believe it. AlphaSapphire was probably my easiest run yet. The first gym was a pain due to basically only being able to use Quick Attack against Geodudes, but eventually I was able to brute force it and take down Roxanne. 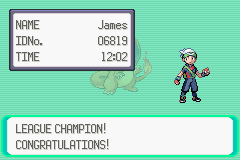 The rest of the game was super easy as I had either neutral typing or a type advantage for most of it. Ironically my biggest challenge was May and her Swampert. I thought I was smart by choosing torchic so May would choose the water type, but I played myself by forgetting that Mudkip becomes Water Ground. 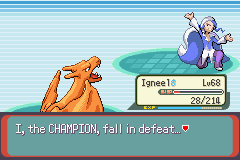 But the E4 and even the Champion were relatively easy compared to previous games. Double Team spam made it almost impossible for me to be hit, even by Earthquake which always OHKO's me, and I was able to Thunder or Brick Break my way through everything. Only 3 gens to go! Getting started on Platinum next! May 22nd, 2017 (2:52 AM). I'll be doing a Beedrill ultimate, inspired by Game Grumps' "Buntd,". I've started Y, and I bred a Weedle since I'll probably need the help from the IVs and nature, I also super trained it (in the challenge game of course) to max in Attack and Speed, with 4 in HP. I last saved at Route 27, right after the Battle Chateau scene. June 23rd, 2017 (7:04 AM). 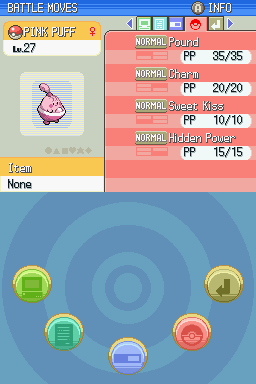 So remember how I said after I dragged my soul across the concrete at the end of the Ledian solo that I'd do the Furret solo I planned to do after Noctowl, then completely forgot about it for the longest time and instead did the Gen 3 Pikachu solo that is nowhere near as dreadful as that Luvdisc solo I did already? Well, I finally stopped being a lazy stizh and got started on it. I'm on the way to Cianwood. Surprisingly, I haven't taught this one any elemental punches even though that's a normal strategy for me with these Gen 2 solos. I'll probably attempt to get this run done by the end of the week, but I need to catch up on recordings, so no promises. July 4th, 2017 (8:38 PM). Edited July 6th, 2017 by The Sceptile King. Just came back from a break! Surprise, I finished Charizard! speedups on an emulator are really a godsend! This one was pretty easy and some battles I thought would be hard ended up being really easy, like Brock and Misty. I never once used double team, and Slash was the move of choice for me. Guess what? I finished Blastoise as well! Blastoise was about the same as Charizard and once you follow the formula and route I kind of have set it feels pretty easy to beat the game quick and easily. I am interested to see how it works with Butterfree and Beedrill which are the next two pokemon I will be soloing. It should most definitely be harder to do those, but I'm not convinced it will be too much of a challenge with speedups. Man this thread is kinda dead, I wonder what happened to the Solo challenge, it used to be one of the most popular? Anyways, I am back with more Solo's completed, this time it's Butterfree! Butterfree was a lot more easy than I anticipated, but was still more of a challenge than I imagined. I had to grind to a Butterfree before I could even enter Viridian Forest, and after that it was still really frail. It didn't have any issues offensively for the first part of the challenge (barring psychic types) but it did die a lot, and made me restart a few dungeons that I didn't feel like starting over. Once it got Double Edge in the Rocket Hideout it was smooth sailing, I didn't face any challenges really. I do tend to overlevel my pokemon a little bit and Psychic was kind of overpowered in Gen 1. Anyways, enough rambling, here's how it turned out. Mega drain is also a pretty underrated move and people should give it more credit, especially in gen 1. Okay, what a surprise, I have no life and have completed 5 solo challenges in the course of 24 hours, and that has included things like eating, sleeping and the time I have spent away from the game doing other things. I skipped Beedrill because I determined that it was impossible because of his horrible moveset, stats, and typing. Beedrill has been named the worst pokemon in all of Generation 1. Pidgeot on the other hand I have completed the Solo Challenge for. Pidgeot was harder than I anticipated. It's lack of moves outside of STAB was very frustrating at times, and completely crippled me against rock types to the point where I had to just brute force through them. Outside of the Rock types, Pidgeot was meh at best. He was by far the worst pokemon I have completed so far, but I envision that he won't be the worst one I have to deal with in my quest to do a lot of Kanto Solos. July 12th, 2017 (7:35 PM). Hey everyone, I know I've been sort of neglecting this challenge for a little while and haven't been updating the OP but I'm here to let you know I'm back and ready get things going again! I'm not going to update the OP right no because of procrastination but I'll be more productive tomorrow. Until then I did a small solo with Beedrill in Red, just a single challenge I started a while ago but never got around to finishing until just now. July 13th, 2017 (8:27 AM). Edited July 13th, 2017 by metroid711. July 13th, 2017 (12:51 PM). Finished up another solo I started a while back but never got around to. July 13th, 2017 (5:08 PM). Edited July 14th, 2017 by metroid711. Might have to do it again sometime! July 14th, 2017 (4:40 AM). Edited July 14th, 2017 by SirDolan. And the FireRed Saga arrives! I'm gonna try a very unmotivated challenge with every pokémon in the dex. I have far too much free time on my hands. I was going to do an Emerald solo, but the game refused to cooperate. You'll have to copy and paste it. That's a link to a personal file, no one is going to be able to see it. The best thing to do is to upload the image to imgurr or another online service and send us the link/put the image in your post that way. July 14th, 2017 (6:52 AM). July 15th, 2017 (8:16 AM). 1) Completed Foretress on Gold, if you want a painful and challenging run do this, this thing gets no good moves so it was sooooo frustrating to complete it .-." July 16th, 2017 (4:39 AM). .....Welp. I better go get my will ready. I mean, sure, I've already done Sunflora and Ledian along with Luvdisc on Emerald, but if it's as bad as you say it is, then yeaaah, totally gonna get my will ready. 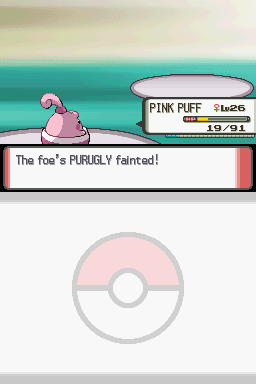 On a totally unrelated note, I finally got that infamous Furret solo done. It turned into another mindless "spam this STAB move while holding the item to increase that type's power and mash your Z key while holding down the speedup button" runs. Sure, I should be sleeping, but I finished a 2 and a half hour stream before blazing through the rest of the run. The Gen 4 Ampharos solo. Cue the dramatic music, because this is probably going to be a hard one because of a certain champion's Ground/Dragon and Gastrodon. July 17th, 2017 (7:46 AM). Updating my Pokemon Ruby solo Blaziken challenge. In this part I went to the seaside Cycling Road and battle some trainers with Magnemite and Voltrob. Then go back to the Mauville City and head to Verdanturf Town. July 18th, 2017 (6:35 AM). Again, updating my Pokemon Ruby solo Blaziken challenge. This part I went to the Verdanturf Town to get my Contest Pass. And then move to the Rusturf Tunnel, use Rock Smash to unite Wanda and her boyfriend. After that I went to the Rustboro City to grab our Exp Share from the Mr. Stone. August 4th, 2017 (7:59 PM). Edited August 5th, 2017 by TheCrystalFlaaffy. Finally have another update for one of my solo challenges! 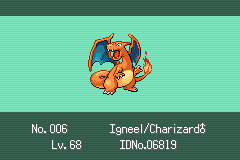 Beat Emerald for my Charizard ultimate challenge. Now on to Platinum! But first I'm going to try to focus on finishing off my other challenges, namely my Jynx, Venusaur, and Ampharos challenges. August 11th, 2017 (2:00 PM). Haven't done one of these in a bit. So i'm gonna do one! August 15th, 2017 (9:51 AM). That feeling when you take so long your name has been removed from the challenger list. Guess I'm signing up again. Currently: One gym defeated. Just beat Team Galactic at the Valley Windworks. About to enter Eterna Forest. Also, extremely glad Happiny is in the fast leveling group, while annoyed at the large number of pokemon which resist HP Steel. So... Should I show my past challenges? I probably should. I'm terrified of the third gym (fighting! ), though I'll probably have fire blast by then, which is worlds better than HP steel. August 17th, 2017 (1:55 PM). Checking in with an update, I just defeated Lance. I honestly was not expecting to beat him and I had the hardest time, but with a bit of much needed luck I took the title. The E4 wasn't much of a challenge. August 22nd, 2017 (8:10 PM).